Australia is a dynamic multi-cultural society, viewed by many as the world's most desirable place to live. Here Frank Welsh traces Australia's intriguing and varied history to examine how this society emerged, from its ancient Aborigine tribes and earliest British convict settlements to today's modern nation - one that retains strong links with its colonial past but is increasingly independent and diverse. While full of admiration for Australia, Welsh also exposes national myths and confronts the darker side of its history - oppression of the Aboriginal peoples and the 'White Australia' policy - and places the country in a global context, considering the changing relationship with Britain and its Asian neighbours, as well as more recent alliances with the US. 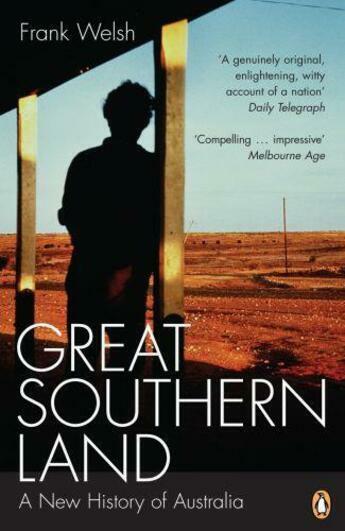 Original, provocative and entertaining, Great Southern Land provides the most comprehensive one-volume history of this endlessly fascinating nation.